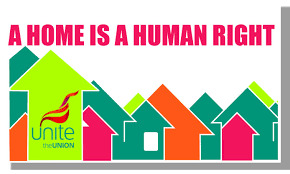 The Unite housing workers branch has responded to Labour’s consultation on social housing policy by calling for a commitment to a mass programme of council house building, an end to deregulation and financialisation of housing associations, and more resources to address the homelessness emergency along with sustainable funding for supported housing. We also supported the call for mandatory ballots before demolitions and regeneration schemes proceed and highlight the need for proper regulation. The full submission with responses to specific questions posed by the review can be read here. Our branch was amongst the first to actively support Jeremy Corbyns campaign for the Labour leadership in part because members were inspired by his statement that “there can be no solution to the housing crisis that does not start with a mass programme of council house building”. The terrible fire at Grenfell Tower brought home to many that Britain’s housing system is broken – Unite members working in social housing are keen to join the debate on how to fix it. Much of our submission restates Unites existing policies on housing which were recently seen as radical and ‘off the agenda’ but are now increasingly mainstream. We also comment on recent developments and issues of special significance to our members. A recent survey by the trade magazine Inside Housing revealed extensive housing stress faced by housing workers up to and including periods spent rough sleeping. Reflecting the changed culture and business model of housing associations we have also faced an increasingly anti union environment and some associations have moved to derecognise unions. This is particularly unacceptable from organisations that have received massive public investment (over £2 billion in the last decade) and play roles in local communities which should accountable and responsive; they are failing as good corporate citizens. 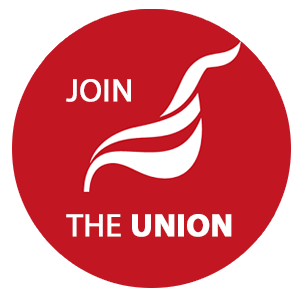 We say Labour must call for maximum pressure to be brought on associations to provide full trade union rights for their staff. Housing associations (now known in legislation as Private Registered Providers) have widely been accused of a cultural shift and loss of social purpose, and surveys suggest that their staff increasingly believe this to be the case. Yet taken in isolation this understates the problem. Driven by the loss of social housing grant and reliance on debt financing their business model has fundamentally changed; in their current form they have become agents of privatisation and of the financialisation of social housing in Britain and are no longer suitable policy vehicles for the expansion of social housing. Indeed, while robust figures are hard to come by, it would appear that in recent years they have already become responsible for a net loss of social rented housing once tenure change and asset sales are taken in to account. While associations justify cuts to services by the “difficult environment” they are in truth highly successful from a commercial standpoint. An authoritative recent report on the housing association sector concludes that despite social rent cuts and pressure from the role out of Universal Credit, “the social housing sector has largely strengthened its financial position”. It states; “In summary, financial viability remains strong in the sector. Real cost savings have been achieved, sale of assets have boosted margins and organisations are not dependant on asset sales to keep them viable.” Additionally, the government has recently announced social rent increases will be higher than inflation in future. The operating surplus across the sector is up 15.6% in 2016/17 to an impressive £5.55 billion overall and overall management costs fell by 7.3%. Employment costs were down by 6.6%, falling to £3.37 billion and this was despite special pension costs in the sector not expected to repeat in the short run. Recent complaints about repair services, that associations are unresponsive to tenants and residents and that new developments have poor build quality must be understood in the light of these figures. Housing associations typically achieve higher operating margins than private speculative builders and it is clear that they offer a profitable receptacle for the global investors and are now structured for this purpose rather than meeting social need. The recent announcements by the giant investment funds BlackRock and Blackstone that they intend to move in to the UK ‘affordable’ housing sector points to the profitability of the sector. Financialised housing associations are now integrated with the global ‘casino economy’ with a profoundly changed ‘risk profile’. It would be wrong to conclude from their current profitability that they are financially secure in the long term. The former housing minister under Tony Blair, Nick Raynesford, was right to warn that while their past commercial reputation was good a result of the wholesale move to merger and ever larger associations has led to the creation of associations that could not be rescued in the way that associations facing difficulty have been in the past. This could have ‘dire consequences for the sector’ and, if lenders foreclose, could grievously impact tenants. The comparison sometimes made between former building societies that converted into banks such as Northern Rock could prove all to apt. We call for the repeal of the Housing and Planning Act 2016 and a fundamental change in housing policy. Our submission is drawn from branch policy which has been forulated through discussions involving many members. A number of members contributed detailed suggestions we thank everyone who contributed. If members want to contribute do email the branch officers - or you can always submit resolutions to branch meetings in the usual way. The branch regularly sends speakers to Labour Party, tenant and residents meetings and other forums discussing housing.